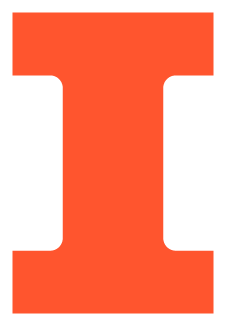 As a member of the University of Illinois academic community, I pledge to conduct myself in accordance with the highest standards of academic integrity. What does this mean? In order to better understand your responsibilities, you should read the rest of this document, which outlines university and CS department policies. The University's Student Code, with which all students are expected to be familiar, describes in detail many types of breaches of academic integrity, including cheating, plagiarism, and fabrication, among others. Read Section 1-402 of the Student Code now! Here, we use the term "cheating" to mean any of the types of infractions described in the code. You should also become familiar with the Provost’s Quick Reference Guide to Academic Integrity. There are no good reasons to cheat, but there are many reasons not to. Cheating devalues your own degree, and that of others. It is unfair to other students in the class. Often, it sacrifices your own long-term educational goals for perceived short-term gains. You stand a high likelihood of being caught, and receiving a lower grade (perhaps a failing one) in the course. CS students have been expelled from the university for cheating. Acting ethically goes beyond simply "not cheating". For example, it is ethical, and important, to report students who you suspect have cheated to your professors - as failure to do so may result in honest students receiving lower grades (in a course that grades on a curve). You are urged to read the ACM Code of Ethics for a more complete description of the high standards set by CS professionals. What is allowed in CS courses? The university definitions that you've read apply to CS classes, and clearly cover infractions such as copying on exams or written assignments. For programming assignments, as with most assignments, it is usually fine to discuss the concepts with your classmates (but check the course policy). A typical course policy might be that when it comes to designing or writing the program (even just the 'pseudo-code'), you must do it yourself, unless the instructor has said otherwise. Certainly, if you are copying text directly from someone else - whether copying files or typing from someone else's notes or typing while they dictate - then you are cheating (committing plagiarism, to be more exact). This is true regardless of whether the source is a classmate, a former student, a website, a program listing found in the trash, or whatever. And, plagiarism even on a small part of the program is not allowed, nor is starting out with code that you did not write and modifying it to look like your own. As described in the Student Code, aiding someone else's cheating also constitutes cheating. Leaving your program in plain sight or leaving a computer without logging out, thereby leaving your programs open to copying, may constitute cheating depending upon the circumstances. Consequently, you should always take care to prevent others from copying your programs, as it certainly leaves you open to accusations of cheating. If somebody else hands in code identical to yours, you may be penalized! Finally, anything written here should not be taken to supercede the particular policies applied by individual professors. It is your responsibility to determine exactly what type of interaction with other people may be allowed, what resources may be consulted, etc., in each of your CS classes. If the course web page does not list a policy, you should ask your instructor to publicize one. Cheating in Computer Science classes is a serious problem, as it devalues the hard work of honest students. Therefore, the department is determined to eliminate it by making the chances of getting caught high enough, and the sanctions severe enough, that any student considering cheating will choose instead to just do their best, honestly, even if it means a low grade. on a programming assignment, quiz, or written homework: zero on the assignment and final course grade is lowered by one whole letter grade. Multiple instances of cheating of any kind: failure in the course. As noted above, an instructor has wide flexibility in imposing sanctions, and may be either more strict or more lenient than this. Note that all cases in which a student has been found to have committed an infraction of academic integrity are reported to the CS department, to the student's college, and to the Senate Committee on Student Discipline. If a student is found cheating in different courses, in the same course in different semesters, or in particularly egregious cases, the department will consider the case for possible additional penalties including suspension or dismissal from the university. Similarly, the college, or university may take action beyond the instructor's penalty, including suspension or dismissal. Using the Faculty Academic Integrity Reporting portal ("FAIR") at my.cs.illinois.edu/fair, the instructor sends a message informing the student that s/he is being accused of cheating. The student has ten business days to respond, also using the FAIR portal. Failure to respond within the ten days will be taken as an admission of the maximum level of culpability. After considering the student's response, the instructor will make a timely decision in the case, and if he or she still believes there has been an infraction, will impose a sanction via the FAIR portal. If the instructor finds that the student has committed an infraction, then the student has the right to appeal the decision within five business days, by contacting the director of undergraduate programs (currently egunter@cs.illinois.edu). In some cases, the situation can be negotiated and resolved without a hearing, but most appeals are heard by a departmental committee. It is important to use the FAIR portal, because it tracks the deadlines, notifies the students of their rights in the process, and notifies the appropriate administrative offices of a pending or completed case. However, many instructors and students find it helpful to discuss the issues directly with each other, and this "off-portal" communication is fine, perhaps encouraged, but ultimately the FAIR portal must be used, even if to simply summarize what the student and instructor have discussed.